McDonald is primarily an attacking midfielder, although he can play in a more of a striker role. 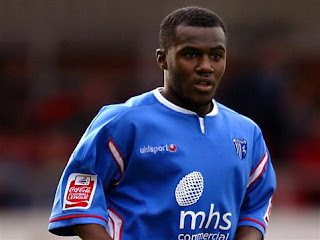 He spent a month on loan with Hartlepool United, scoring one goal the winner in a 2–1 win against AFC Bournemouth, before bring recalled due to an injury crisis at Ipswich, with Ipswich rejecting a bid for the player. In May 2006 he signed for Gillingham on a two-year contract. On his debut for his new club in August 2006 he scored the winner in a 2–1 win over Huddersfield Town. It was announced in July 2007 that, despite having a year left on his contract with the Kent club, McDonald had agreed terms for a move to Scottish Premier League side Inverness Caledonian Thistle. He scored in his first pre-season match for his new club, a 2–0 win over Qatar's U-21 team, on 11 July 2007. Following the arrival of Craig Brewster at the club, he was restricted to just substitute appearances and was on trial during January 2008, including Gillingham and Toronto FC. Although offered a contract by Toronto FC, he decided to stay at Inverness Caledonian Thistle until the end of the 2007/08 season. Despite having a year left on his contract it was cancelled by mutual consent in July 2008.2007–08 season. 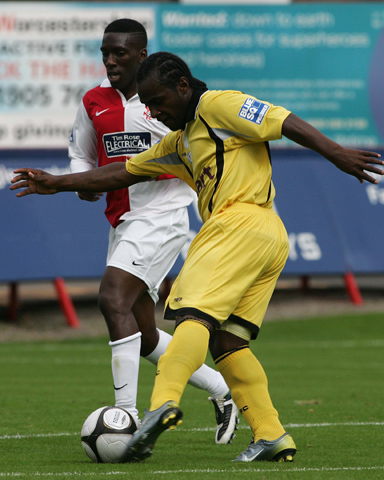 He then signed for Conference National side Rushden & Diamonds in July 2008. Having been transfer-listed, he signed for Grays Athletic on loan from 20 November 2008 until January 2009. However, McDonald failed to make an appearance in the Conference National and only made three appearances in the Conference League Cup, FA Trophy and Essex Senior Cup. McDonald was released by Rushden & Diamonds in January 2009, and was signed by Northwich Victoria on non-contract terms. He left Northwich Victoria after the manager, Steve King, left the club in February. 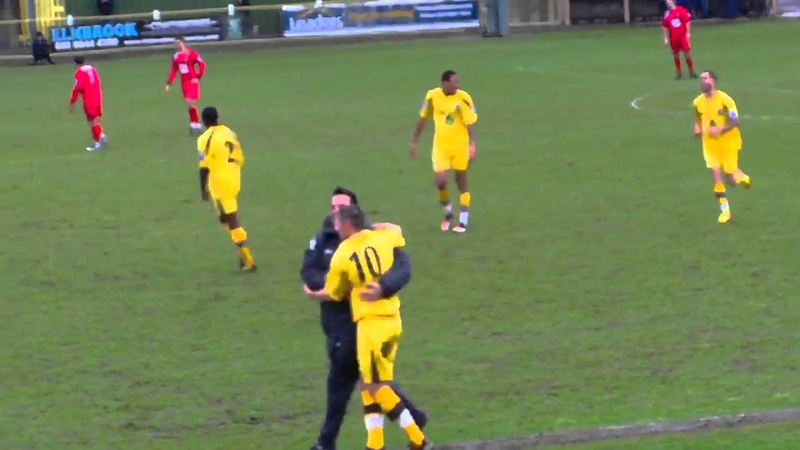 This led to a short spell at Tooting & Mitcham United, which lasted until the end of the season. McDonald ended the 2009–10 season with 35 goals in 53 appearances in all competitions for Farnborough, earning himself a trial at Football League Championship side Swansea City.McDonald was denied a move to the club after a successful trial due to the two clubs being unable to agree a fee for the player as he had one year left on his contract. made 15 league appearances in his only season as a Robin and scored five league goals, including both in a 2–0 away win at Hastings United. On 25 January 2013 McDonald signed for Conference National side Macclesfield Town, making his debut the following day in the fourth round of the FA Cup against Premier League team Wigan Athletic, coming on for 20 minutes. McDonald made his league debut on 1 February, coming on for the last 10 minutes against Ebbsfleet United to provide an assist for the 4th and final goal in a 4–0 win for the club. With McDonald coming in, it's goodbye to Harry Beautyman! With Harry searching for a bigger club over the summer months, and with little interest shown. Harry returned to us for the Pre-Season, to get his head down, and work hard for a further season, and perhaps catching the eyes of the Football League Scouts. This however was not to be. With an offer laid on the table from Welling, Harry made a jump to one step above and joined Welling for an undisclosed fee. Cheers for the last two seasons H! That's all from the one they call Juan...for now!